According to Realtor, homes for sale in Granbury TX are averaging a median listing price of just over $240,000 for a single family home. 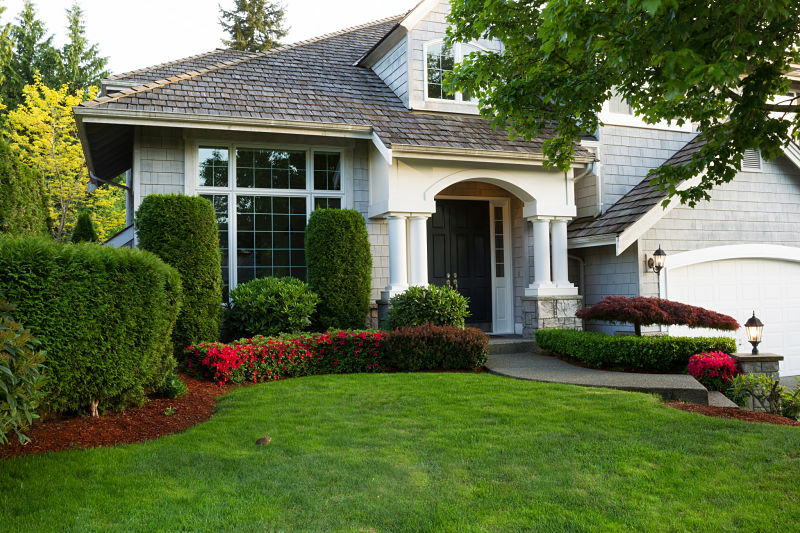 To make sure that you get as much as you can out of your listing, we recommend beautifying your yard and upgrading the design to give your home a charming style and welcome feel. Visitors to your open house will appreciate a fresh design that invites them inside. Many of the tips cost less than a hundred dollars too! You want to go big and eye-catching with your new address, says Houzz. You can use a wide range of media to find a design that matches the style of your house. For instance, industrial items like metal pipes and copper numbers work great for a modern home where hand-carved numbers with a nice coat of paint or stain would be better for a cottage or ranch style home. DIY says that planting a tree or two is a fast way to make your home look stunning. A large tree is an excellent source of shade in the summer months helping to keep your home cool. Consider planting two trees to create a symmetric design or to frame your home. While you are updating your home and painting the exterior trim and porch, you may want to add some personality with a surprising or bold color choice, says BHG. If you are not ready to commit to painting, then you can always use shingles to accent an awning or porch roof. Experts suggest painting the front door a bright color to boost curb appeal and draw the eye to the home. Add potted plants to each side of the door for more impact. You can also buy new hardware like a brass knocker. A new mailbox is a fast and cheap way to make your yard and home look better. You can go with a fun shape, paint it a vibrant color, or choose an architectural design that enhances matches the house. Adding a brick surround around the pole will make your mailbox look more stately. One way to make your yard work for you is to get rid of some of the grass with a rock garden, sculptures, or flower beds. The first thing is to get your yard neat and organized before switching plants. HGTV says that if you do not want to do the work of cleaning up your yard before you upgrade, then you can have a professional landscaping company do the work of tearing out overgrown shrubs and gardens for between $200 and $400. Choose plants that need little water or stand up well in soil with clay and dry conditions. Instead of scraping and cleaning old porch lights, you can replace them at a small cost. You get an instant change in minutes, and you can update the fixture to a more modern style if it is outdated. You improve the security of your home with new lights too. Consider adding a motion detecting light to the garage to keep insurance premiums low. Plant bright flowers next to your walk. Use accent pillows and new furniture with fun designs to make your home appealing. Planters, columns, window trim, shutters, and other areas where you can use color to make your home beautiful. You can also add color to your fence, with sculptures, and by adding colored mulch and rocks to your flower beds. Your home looks the best and is worth the most value when everything is in good repair. This fact goes for the property around the home too. Your house will be worth more when there are no trip hazards or unsightly cracks in your sidewalks and driveways. A fabulous window box with some bright flowers is always an excellent way to add massive curb appeal. Be careful to direct water flow from the box to the gutter or yard making sure to keep water from pooling around the foundation of your home. A little gravel or some soil grading is all you need to redirect moisture. You could also put low maintenance plants here too. 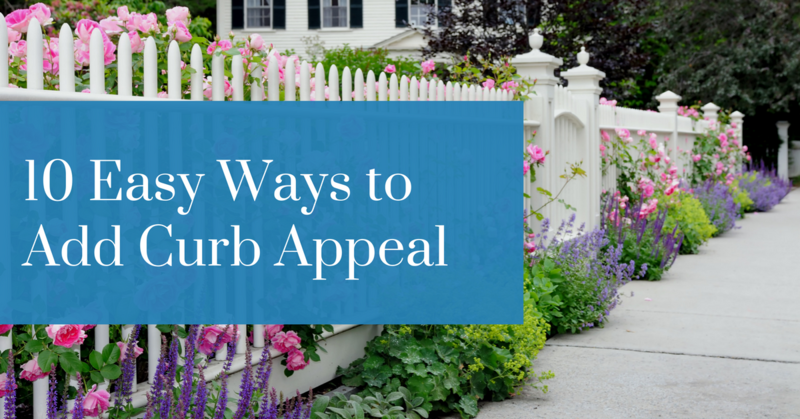 A quick way to add appeal is to create a new focal point in your yard. A nice water fountain will draw the eye to the area you want to showcase. Your fountain can be handcrafted or one you buy from the garden center. They have a variety of sizes, shapes, and designs you can choose from to match your style. Motion detectors help keep burglars at bay at night. Some insurance carriers give discounts to homeowners that use security items like motion detecting lights on the property. Having a light that comes on automatically is a great help when you have your hands full of groceries, or you are fumbling with the lock in the middle of the night. Placing an arch or arbor at your gate is an incredible way to add major curb appeal to your home. Welcome your guests with a rose covered entry, or some other fragrant flower. You can go with a simple arch or get creative and choose an architectural piece with a layered design. Consumer Reports says that most yard improvements boost the value of residential real estate between three and five percent. You can maximize the impact by choosing several ideas from our list to use in your yard. Placing corbels or adding crown molding to your porch is another way to add appeal. When buying a home in Granbury TX, a nice swing is always a great way to improve the lot and make your house inviting.